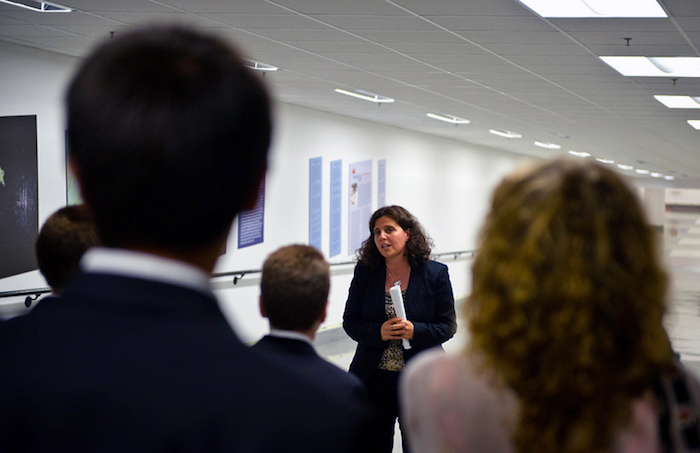 Teaching is a tremendous privilege – it allows me the opportunity to share my experiences with others. My pedagogical strategies center around teaching as a form of social and cultural activism. I want my students to learn the tools of critical thought, to learn to doubt, and to challenge their beliefs and ideologies. Teaching art is a way to stimulate change, to raise intellectual and aesthetic consciousness, and to visually empower individuals and communities. It is critical to the growth of our society that all members have access to a quality art education, and as funding for the arts deteriorates nationwide, the marginalized and disenfranchised continue to be the ones that bear the brunt of the blow. The majority of my collaborative and pedagogical experiences have been with adolescents in underserved communities, often with teenagers who have had little or no prior art exposure. I see my role as that of facilitator, someone whose job it is to listen to ideas first, then introduce artists and art techniques, and finally provide the visual tools and skills needed for artistic communication. Teaching is not about creating good artists – it is about creating responsible, inquisitive thinkers and art practitioners. I have seen firsthand how arts integration into a school’s curriculum can help improve students’ literacy skills, critical thinking, problem solving, and geometric spatial relationships. After teaching individuals how to compositionally and conceptually examine a work of art, I have witnessed youth who had previously never set foot in an art space confidently tour adults through museums, involving them in deep aesthetic and philosophical conversations about the works on display. Most significantly, I have seen young individuals find their voices through art, communicating profound thoughts about grief, violence, racism, economic injustice, bullying, hope, and love. Then Came Hope, National Art Therapy Association Conference, Washington D.C.
TAIP (Teaching Art Integration Practices) is a collaboration between the Studio Museum in Harlem and Fannie Lou Hamer Freedom High School in the Bronx. 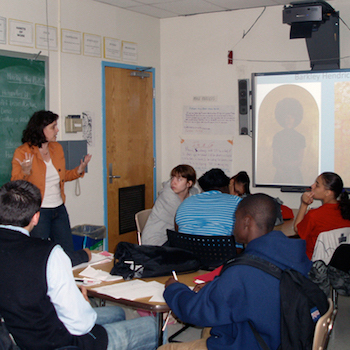 The program is designed to further academic experiences for the high school students and teachers by utilizing artistic methodologies to enhance visual learning. 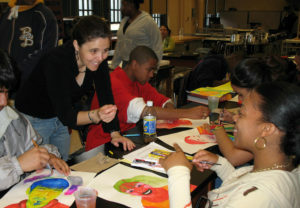 Responsibilities include: design and implement art inclusive curricula for the humanities teachers, lead hands-on art workshops for the students, offer professional development workshops, assess and document the program, and provide tours/lectures at the Studio Museum in Harlem. AEC (Art Explorers Club) is a collaboration between the High Museum of Art, the Youth Art Connection, and the Boys & Girls Clubs of Metro Atlanta. The outreach program was designed to further art experiences of Metro Atlanta Boys & Girls Club youth utilizing the High Museum’s permanent collection as a tool for learning about and creating art. Responsibilities included: design and implement art curriculum, teach hands-on workshops, tour and lecture on the High Museum’s Permanent Collection, organize and install exhibitions, and hire visiting artists.